In order to help you study independently and have a quality student experience, the staff will give you the support you need. We will help you adapt to life in Japanese society, provide opportunities to deepen your intercultural understanding, and facilitate interaction with Japanese students. 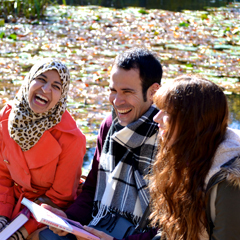 Things do not always go smoothly, but from the International Student Support Desk to the university’s bilingual counseling service, you will always be able to turn to someone for help. 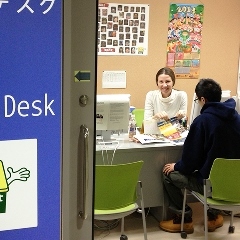 As you approach the end of the degree program and start thinking about future career options, the university’s Career Center provides a range of services to assist you in the process of job hunting in Japan. Your professors are also on hand to give you advice on advancing to graduate school and other career options.